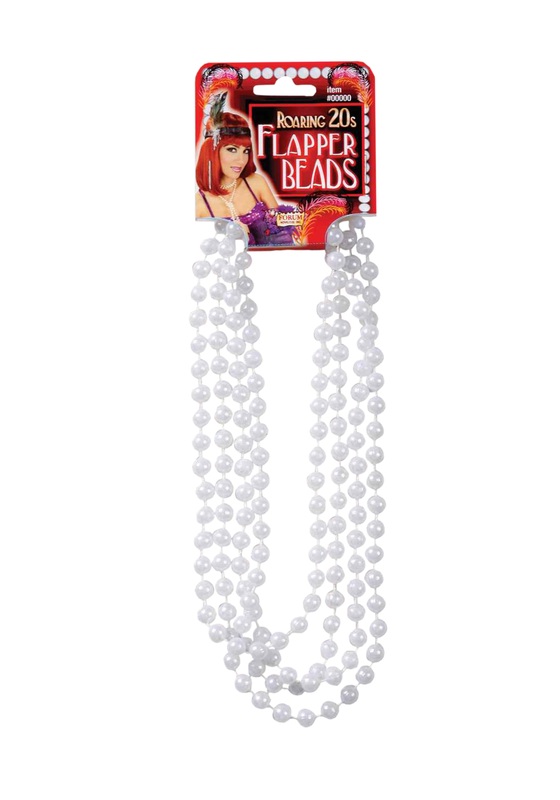 72'' necklace made of white faux pearls. No party at Gatsby’s is complete without beautiful women dressed to the nines. Their swinging skirts, and strappy heels. Hair done up in those beautiful wavy bobs. Beads moving in time with the music, and jewels glinting in the chandelier light. You don’t want to be the only one NOT dressed to perfection.